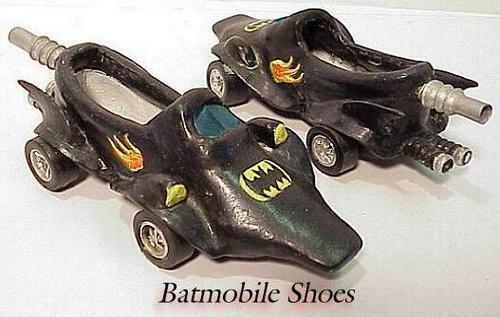 These are two mocassin shoes turned into a mini replica of the Batmobile. The shoeswere spray painted black and the wheelswere attached. The exhaust pipe was made from a plastic straw and the rest was painted in with yellow ...expand text.